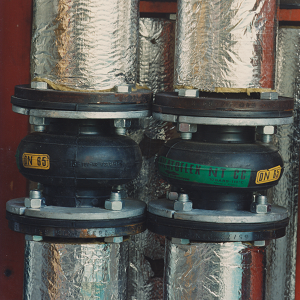 In the buiding industry many pipelines with varying medium temperatures are being used. 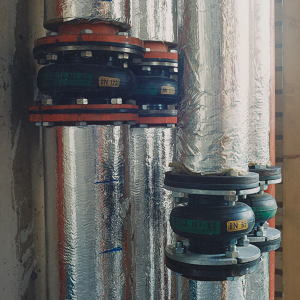 in HVAC installations can easily go up to 90°C. Because of the temperature differences the pipe will elongate and shrink giving length variations. 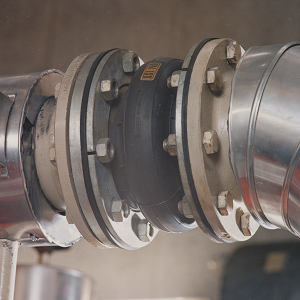 One will find these expansion joints in pipelines in shafts, walkways, corridors and basements. fixed points, forces due to pressure thrust and springrates come into play. 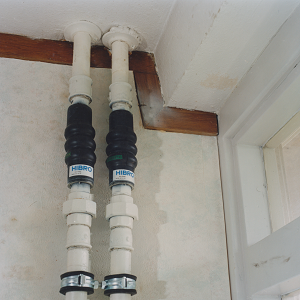 bracketry when the pipeline is put on pressure. however pipeline configuration is to be examined closely. Consult us for advise!